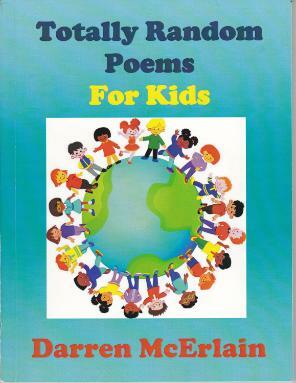 Totally Random Poems For Kids is presented in a soft cover format of 110 pages, measuring 195mm x 256mm. Thank you for purchasing Totally Random Poems For Kids. We offer a variety of payment methods to suit your preferences. We are happy to offer Paypal as a safe and secure way of paying with your credit cards. For Australian customers only, you may also pay by an Australia Post Money Order or personal cheque or business cheque. All books are sent via Air Mail and should arrive between 3-5 working days. Postage and handling costs are included in the price for your country. All books are sent Air Mail. Delivery times vary depending on the postal services in your country. Please allow up to 10 business days from the day your order has been received at our offices. Poems are happening all around us – when you’re breezing along on your bike seeing people, houses, dogs and traffic as they flash by; when there’s a possum on the wall at school and everyone’s gathered around; or when the seagulls rise and fall with each ball bowled at the oval. Tadpoles in the Torrens is alive with people, places and creatures from our everyday lives and from the quirky imaginations of poets. 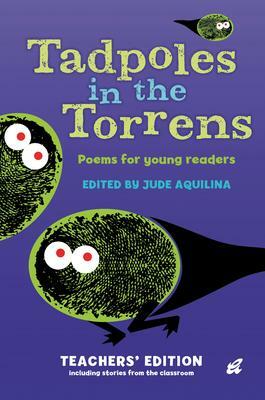 This Teachers’ Edition of Tadpoles in the Torrens includes 40 exciting vignettes of engaging practice tried and tested by a raft of ALEA members as well as an academic position paper on the place of poetry in contemporary Australian primary school classrooms. Specific references are made to the ACARA Australian Curriculum: English. Teachers will be inspired to gorge on and create for themselves and their children a healthy diet of Australian children’s poetry.